When was the last time you washed your pillows? If you don't remember, then it's probably well past time to do so. Whether tucked under our heads while sleeping or behind our backs while lounging in the living room, pillows are an often used, seldom truly appreciated hallmark of the civilized world. Perhaps it’s because we take them for granted that we tend not to clean pillows as often as we should. Or perhaps people don’t clean pillows for a simpler reason: They didn’t know they could. In any case, consider the mystery solved. You can indeed clean pillows, and here’s how it’s done. Check their care labels, of course, but most pillows today can be machine-washed and dried, no matter what they’re stuffed with. Try to clean two pillows simultaneously, because a lone pillow gets thrown around so much in the process that its filling can come out distorted. Once you’ve loaded the washer with a pair, set the machine to run on a hot-water cycle. Add the normal amount of detergent, opting for liquid rather than powder, because the latter can leave a residue. Run two complete rinse cycles to fully rid the pillows of soap, then immediately move them to the dryer. 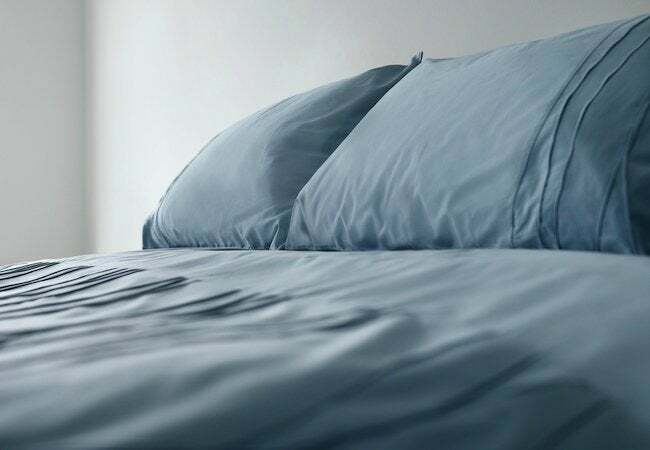 Synthetic-filled pillows should dry on the machine’s lowest setting, while down- or feather-filled pillows are best dried on the air or fluff cycle. Before closing the dryer door, throw in two new tennis balls, each tied off within a white sock (a precaution meant to keep the balls’ neon dye from transferring to the pillows). The balls bounce around in the drum and help restore full pillow fluff. Pillows yellowed from sweat need a little more TLC. In the washing stage, start by filling the machine a third of the way with hot (even boiling water), then add in one cup of powdered laundry detergent, one cup of powdered dishwasher detergent, and a half-cup of borax. Finally, add a full cup of bleach into its designated compartment, before starting the machine and letting it run for a few minutes to agitate and dissolve the detergents. Now put in the your pillows—again, clean two simultaneously for best results—and run the washer on its hottest water setting. Go through two complete rinse cycles before moving the pillows to the dryer (and again, for maximum fluff, include two tennis balls knotted inside white socks). 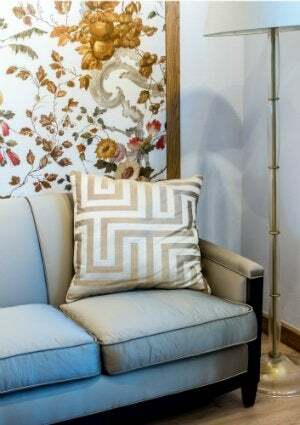 Many decorative pillows have zippers that allow for the case to be separated from the cushion. In these instances, simply remove the case and wash according to the care directions on the label. If you’d like to clean a throw pillow whose cover doesn’t come off, first consider the fabric it’s made of. Don’t know? Check the label; it should say whether it’s velvet, silk, linen, cotton or a synthetic. Generally speaking, velvet, silk, and upholstery materials—or any pillow with heavy braiding or trim—must be professionally dry-cleaned. If your throw pillow cover is made of thinner cotton, linen, or a synthetic fabric, you can use a mild upholstery shampoo. But first, lightly rub a damp sponge over an inconspicuous spot on the pillow to test how colorfast the fabric is. If the color leaks, have the pillow dry-cleaned. If not, proceed to whip the upholstery shampoo into a froth, then use the same damp sponge to rub suds over the entire pillow. With a white towel, pat away excess foam, before giving the pillow plenty of time to completely air dry.